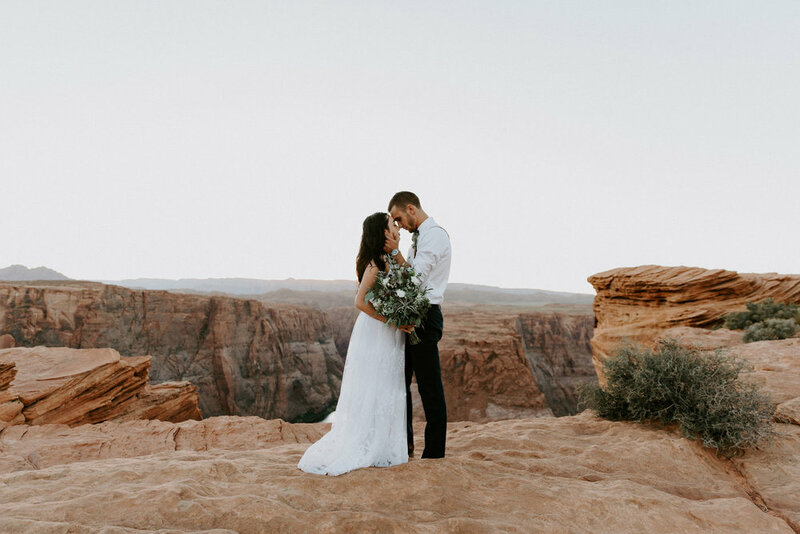 These two lovers had their heart set on eloping at Horseshoe Bend in Page, Arizona the minute they saw photos of it. This place tends to have that kind of effect on people! It’s become a really popular spot over the past few years and there’s a good reason for it. It’s absolutely breathtaking. Kali + Andrew drove all the way from Texas to make it happen! We started off the day hiking down into some secluded canyons first. 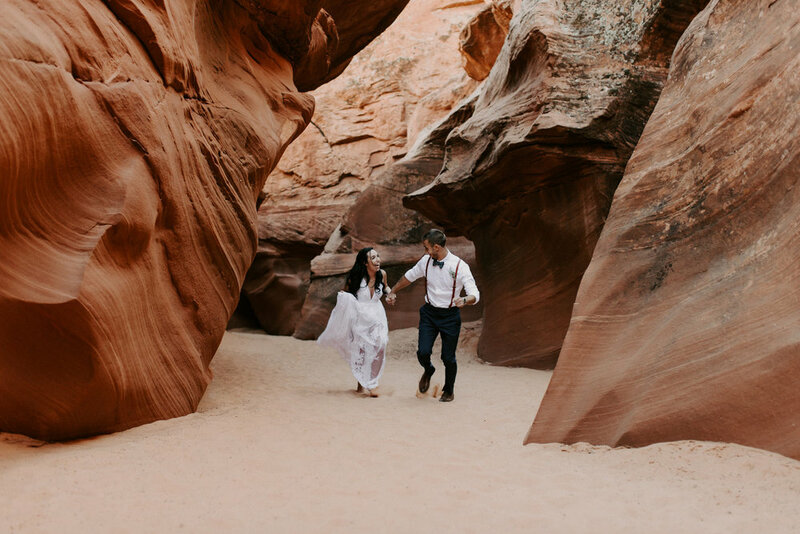 I guess I forgot to tell them to bring tennis shoes(oops) but Kali was a trooper and hiked all through those canyons in sandals!! We took some amazing photos there and enjoyed the peacefulness and beauty of that place. 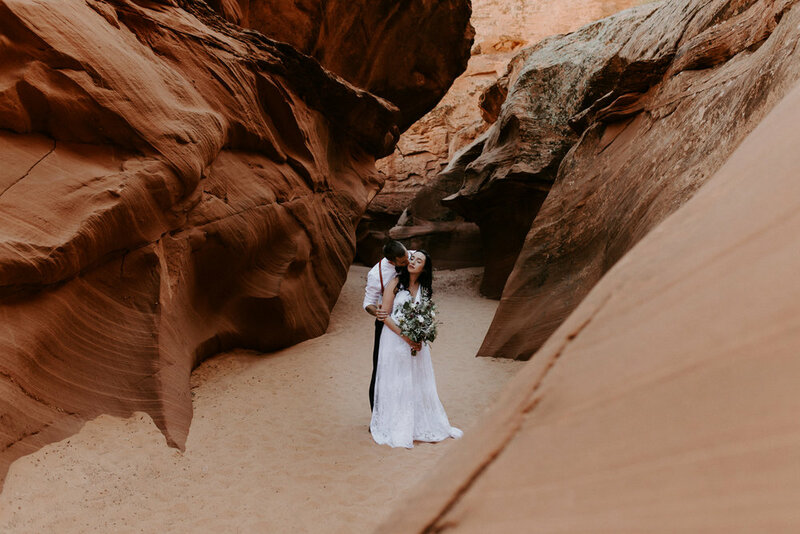 There’s nothing quite like being 30 feet down in vibrant red/orange canyons in the middle of Arizona. We loved exploring that place. Then we made a quick stop at Sonic(Dirty Diet Coke and a corn dog anyone?) and off to Horseshoe Bend for the ceremony. It was really important to Kali to keep this a super intimate celebration. So it was just us and the officiant, Jen Paul, who did an amazing job. 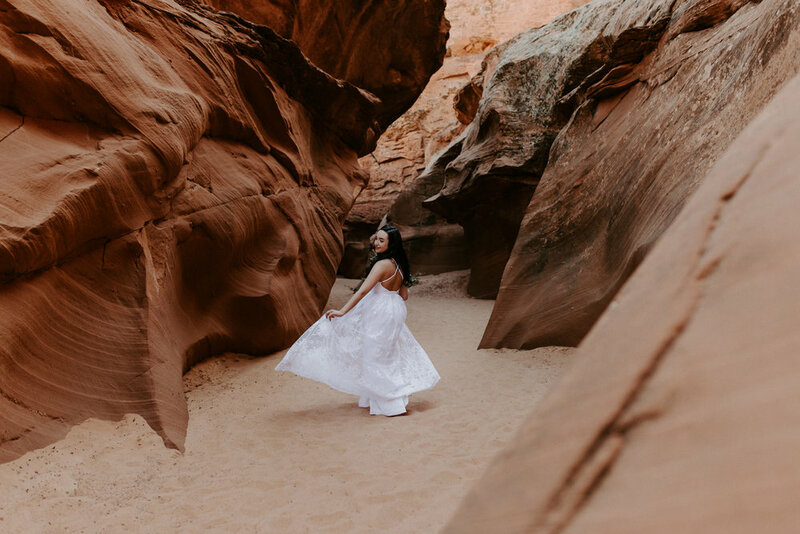 We were able to get away from the crowds an find a secluded spot away from everyone to do the ceremony. 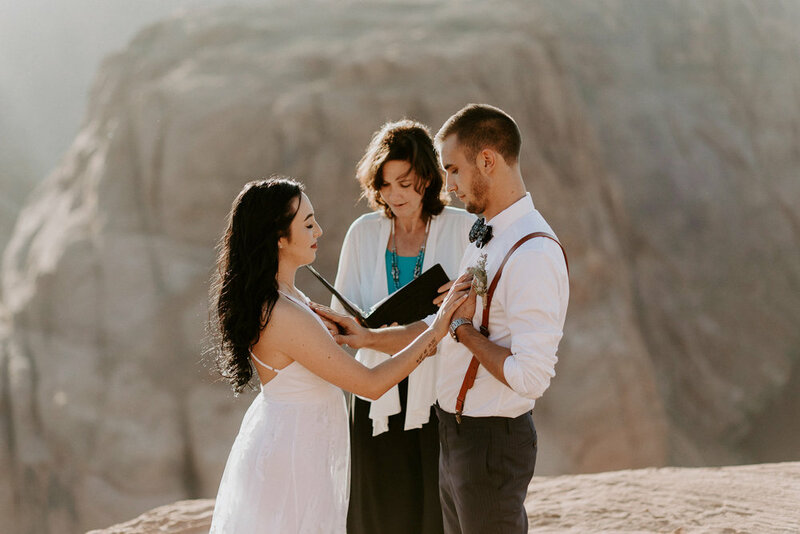 We needed a witness there as well so we asked two hikers nearby if they wanted to be apart of the ceremony and sign the marriage license. They were SO excited and we even took some photos with them afterwards! 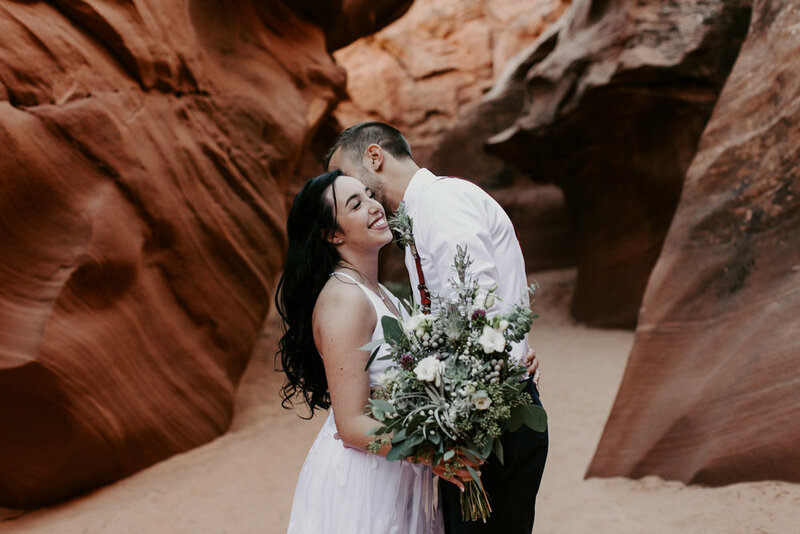 There is something so special about elopements. There's no worrying about a venue, guests, food, flowers etc. The only thing that matters on that day is the couple's love and celebrating it. It’s really surreal to be one of the only people there during such an intimate and life-changing moment. I absolutely love being a part of these special moments and being able to capture them for the couple to look back on years from now.